Join us for a weekend to remember and an experience like no other. Spots are limited. The next Deep Healing Retreat will be March 21-22, 2019 in Los Angeles, CA. Registration for this retreat closes on December 3, 2019. Bring to Light some of the deepest healing tools to compliment you on your journey. This day focuses on individual sessions and alignment. Ready to Re-Discover Your Relationship with yourself? Click below to book your spot! This is the GENERAL ADMISSION ticket price per person. Purchase your ticket of $1289.99 BEFORE December 3, 2019 to get your ticket at this price. 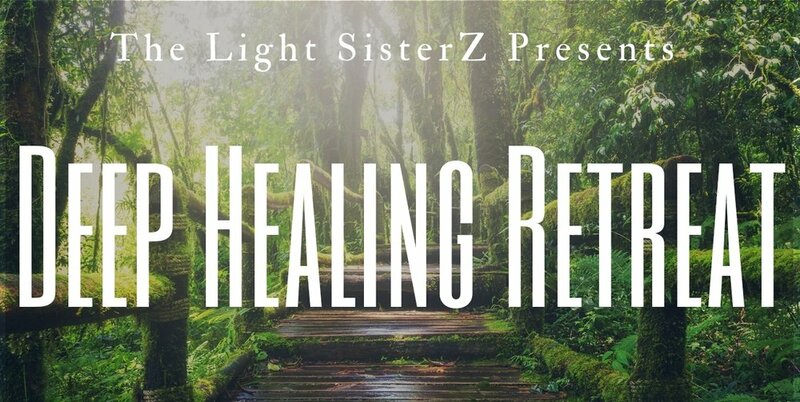 Once payment is received and registration is confirmed you will receive an email to schedule a welcome call from your sisterZ to welcome you to the Deep Healing experience! Here, we will go over any questions you have along with setting up your payment plan. Interested in a Payment Plan? Make a non-refundable deposit of $444.99 before October 23, 2019. Once deposit is received and registration is confirmed you will receive an email to schedule a welcome call from your sisterZ to welcome you to the Deep Healing experience. Here, we will go over any questions you have along with setting up your payment plan. Have any questions about the retreat? Feel free to contact us! We are more than happy to assist you in any questions you have for us!